If you will be having kids at your Thanksgiving celebration, you may want to make some kid-friendly desserts. 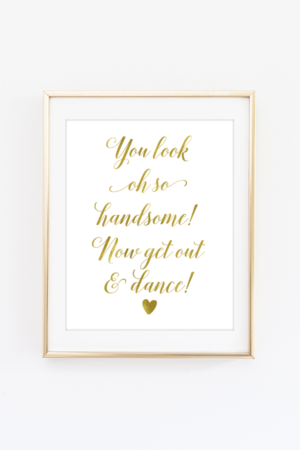 You may think that kids will like any desserts, but that isn’t always the case. If you have kids, you may want to make these desserts with your kids. 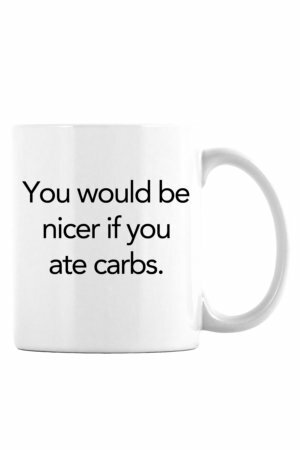 It’s a great way to get kids to contribute to the Thanksgiving food. 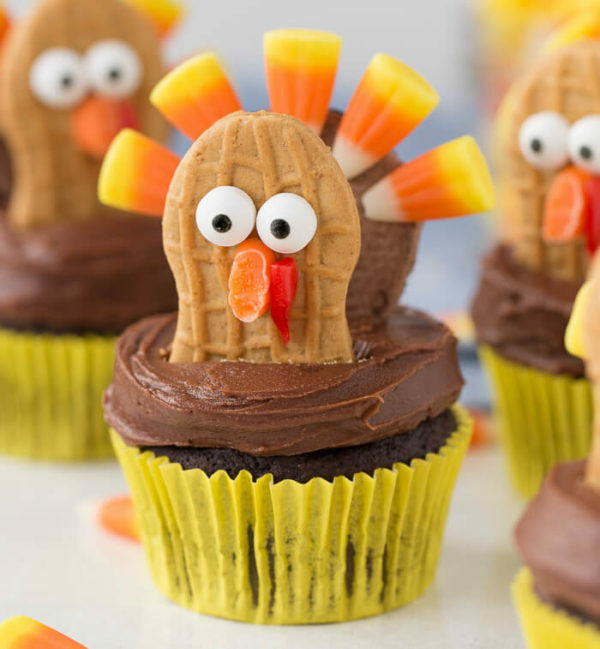 Kids will definitely love these 10 cute Thanksgiving desserts. 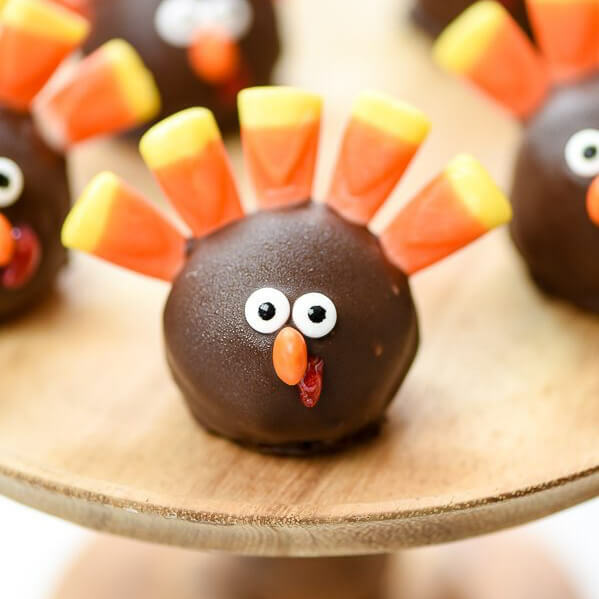 These chocolatey turkey Oreo balls are sure to be a hit with kids. Make these as an after Thanksgiving dinner treat. This adorable DIY turkey jar is easy to make. Add these chocolate covered pretzels and you have a festive Thanksgiving dessert. 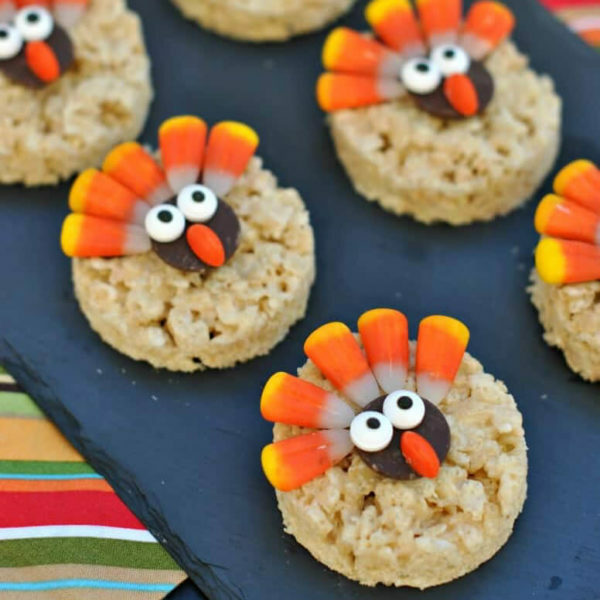 These turkey Rice Krispie treats are a fun way to take a normal dessert and turn it into a festive Thanksgiving treat. Gobble, gobble. Your kids will love these nutter butter cupcakes so much that they will gobble them right up. These pilgrim hat cookies are super easy to make and are made with already made ingredients. 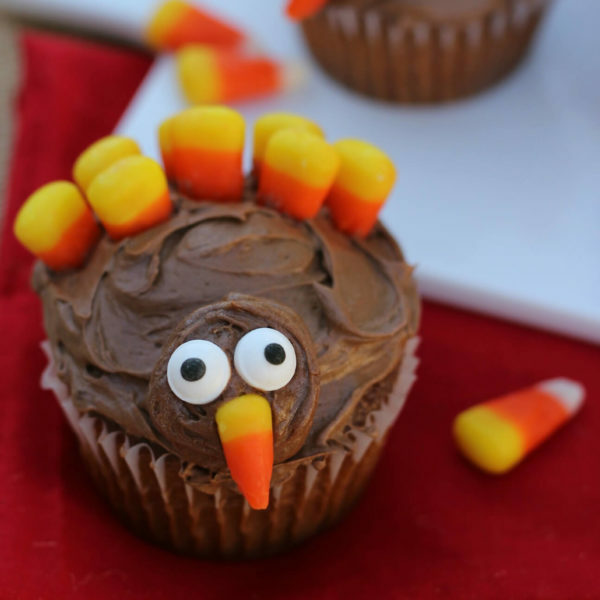 Make these cupcakes and have kids decorate them as turkeys. 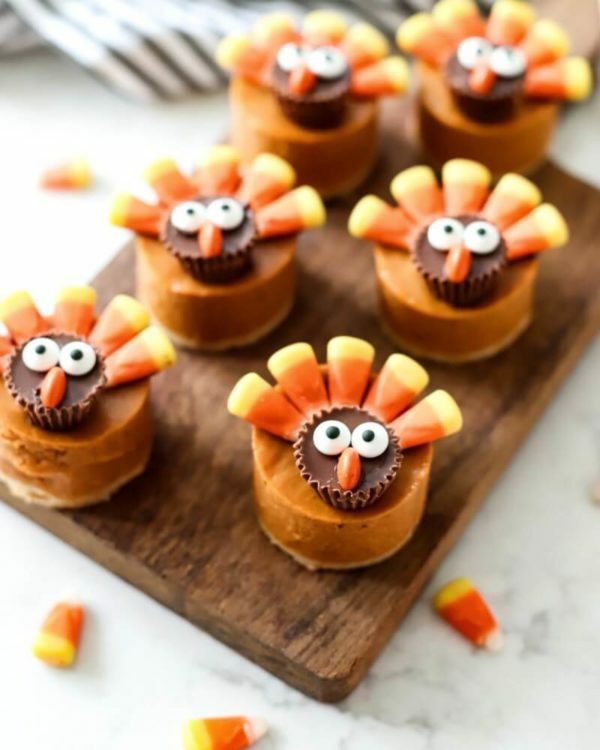 They will love decorating (and eating) these cute turkeys. 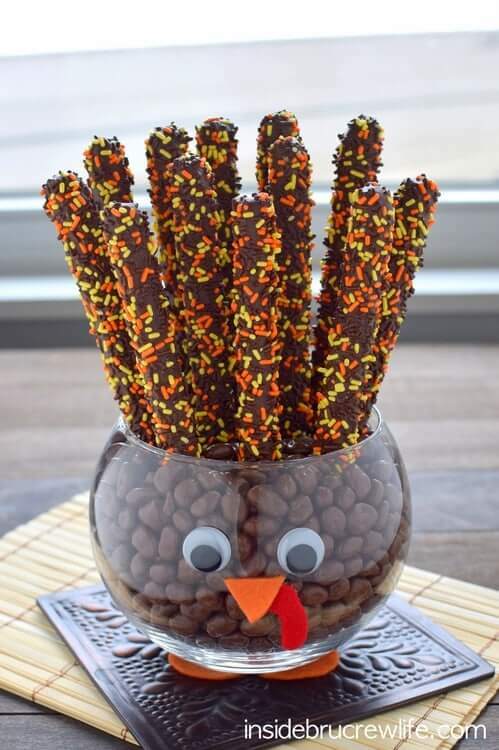 These turkey pretzels are a great way to recycle leftover Halloween candy. 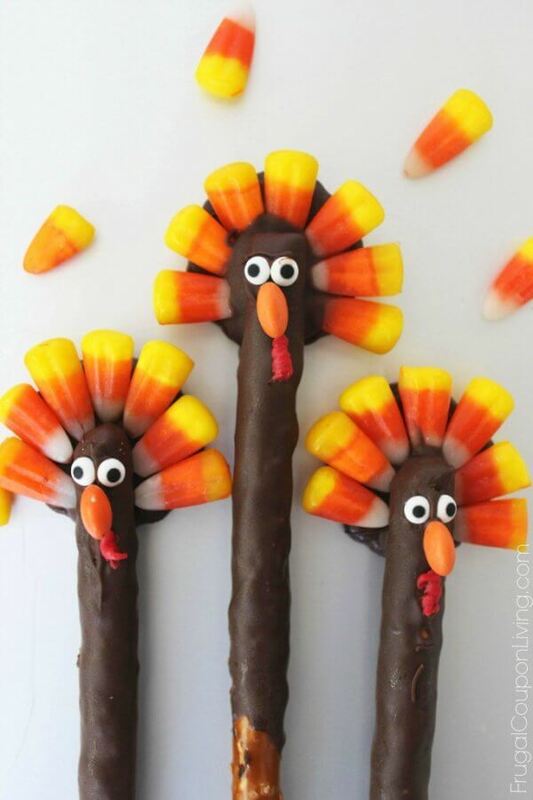 Use your left over candy corn to decorate these turkeys. This pumpkin pie turkey dessert is a fun take on normal pumpkin pie. 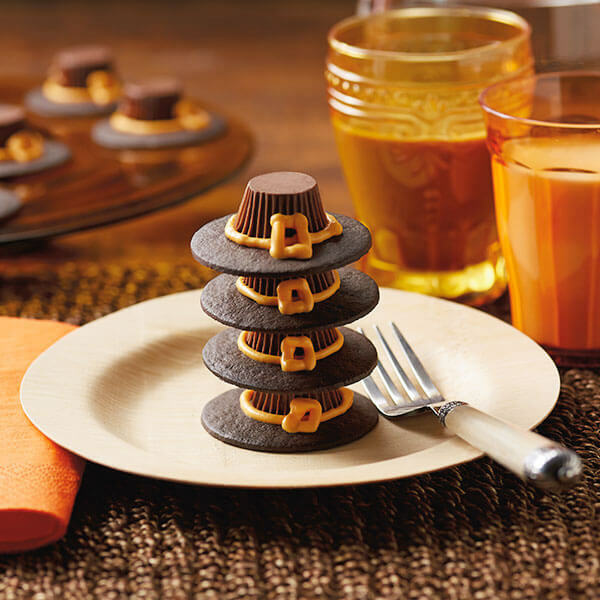 The peanut butter cups and other candy make it a fun dessert for kids. 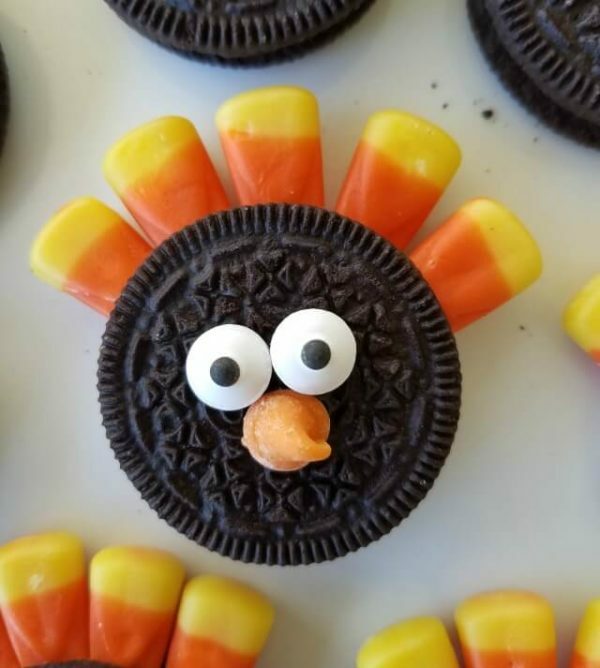 Kids will love turning these normal Oreo cookies into a fun turkey dessert. 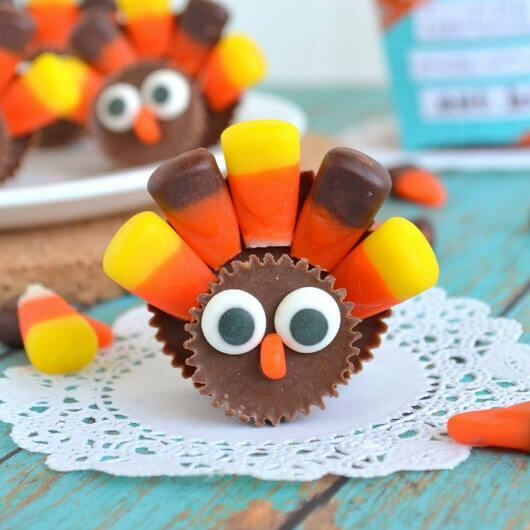 These fun little peanut butter cup turkeys are sure to please any child. 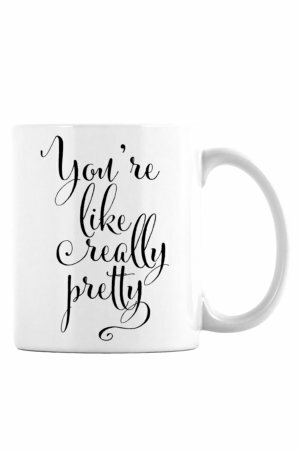 They’re oh so adorable and super easy to make.